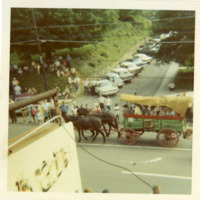 A picture of the 1969 Daniel Boone Wagon Train down King Street in Boone, NC, as it passes Linney Street at the center of the image. 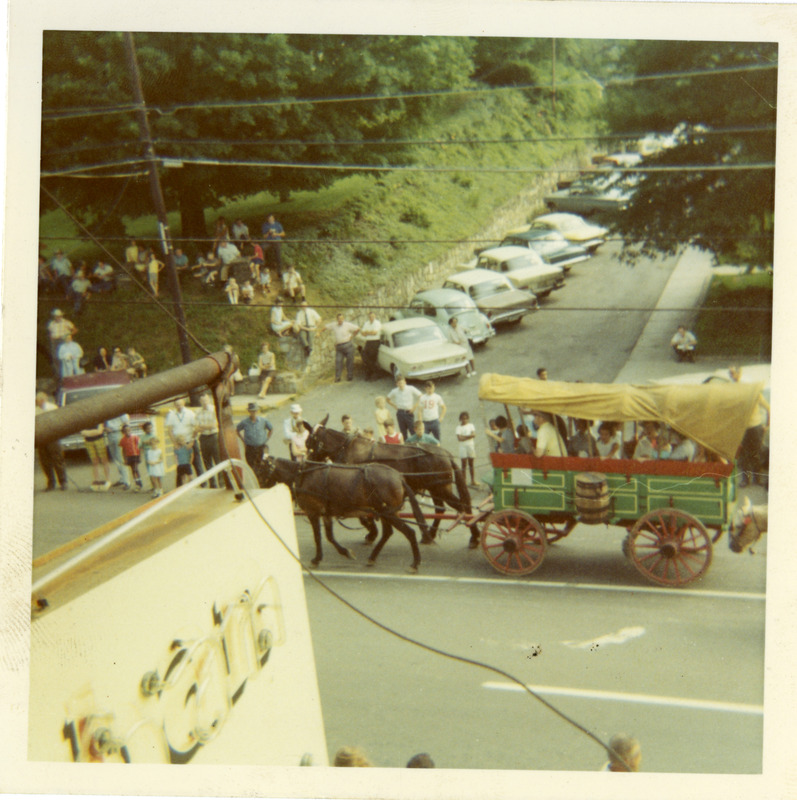 The Wagon Train, which traveled over multiple days from Wilkes County to Boone, began as a celebration of the 300th anniversary of the foundation of North Carolina in 1963. The event would be held every summer until 1974. An inscription written on the back of the photograph reads: "Wagon Train '69." Unknown, “Daniel Boone Wagon Train, Image 4,” Digital Watauga, accessed April 25, 2019, http://digitalwatauga.org/items/show/6823.